KidKraft 55-Piece Wooden Racetrack Just $23.07! Down From $50! You are here: Home / Great Deals / Amazon Deals / KidKraft 55-Piece Wooden Racetrack Just $23.07! Down From $50! Check out this KidKraft 55-Piece Wooden Racetrack which is on sale at Amazon for just $23.07 down from $49.99 PLUS FREE shipping with Amazon Prime or for orders $25 or more! Race your own way with the disneypixar cars 3 build your own track pack. This set includes more than 50 pieces of track and scenery, along with lightning McQueen and Cruz Ramirez. 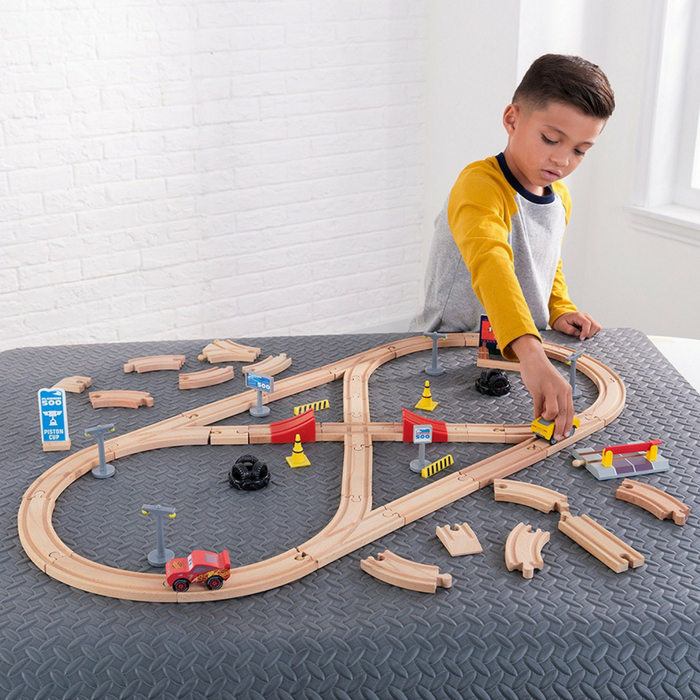 Compatible with any Kidkraft track set, this stand-alone pack also includes instructions to build four different race tracks, inspired by those in the disney pixar cars universe.